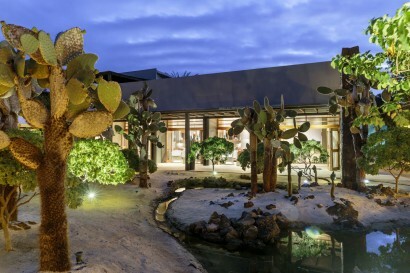 Javier Gómez is the General Manager of the Finch Bay Eco Hotel in Santa Cruz Island, Galapagos. He has wide experience in the tourism and hospitality industry, as well as in human resources. 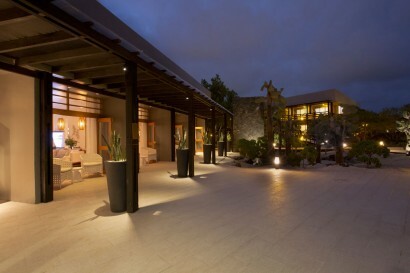 Javier has held management positions in hospitality and human resources in several countries in North and South America. He has worked as Director of Operations of Sheraton Resort in Panama, Director of Operations/Food & Beverages of the Wyndham Hotel in Panama, and also Director of Human Resources at the Sheraton Hotel Quito, Ecuador and at GHL Hotels in Panama (Hilton and Sheraton). Javier also is a Starwood (Sheraton) and Hilton certificate coach and has achieved high levels of guest quality satisfaction and work environment. 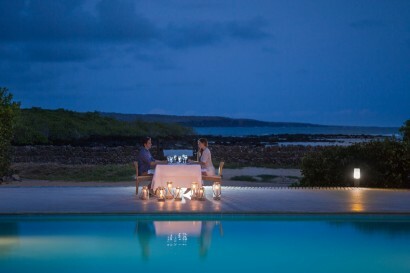 A proud member of National Geographic Unique Lodges of the World, the easy-to reach Finch Bay Galapagos Hotel is situated in the heart of the archipelago, making it the ideal hub for all island activities, including pre- or post-cruise stays and our unique luxury Island-2-Island Hopping programme. 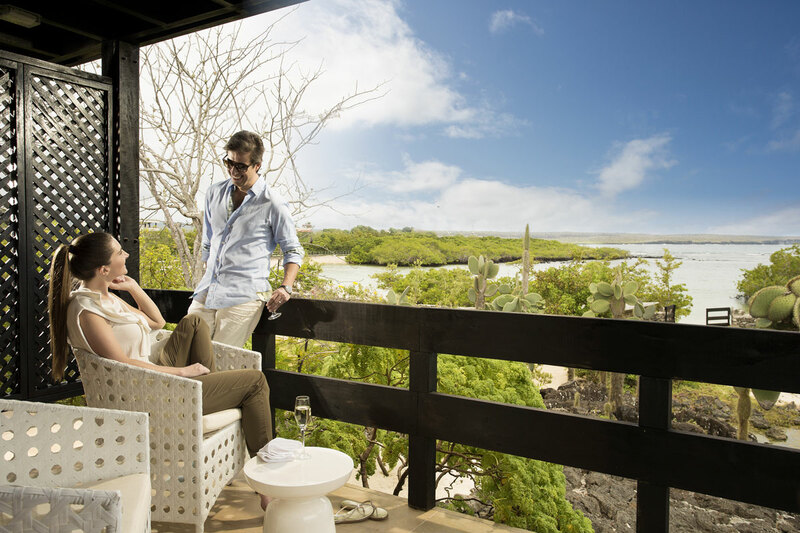 Take advantage of its beachfront location on Puerto Ayora and set out to explore, seek adventure, or just relax. Small and intimate, its 6 Finch Bay Suites and 21 Finch Bay Rooms are home to a maximum of 54 guests. 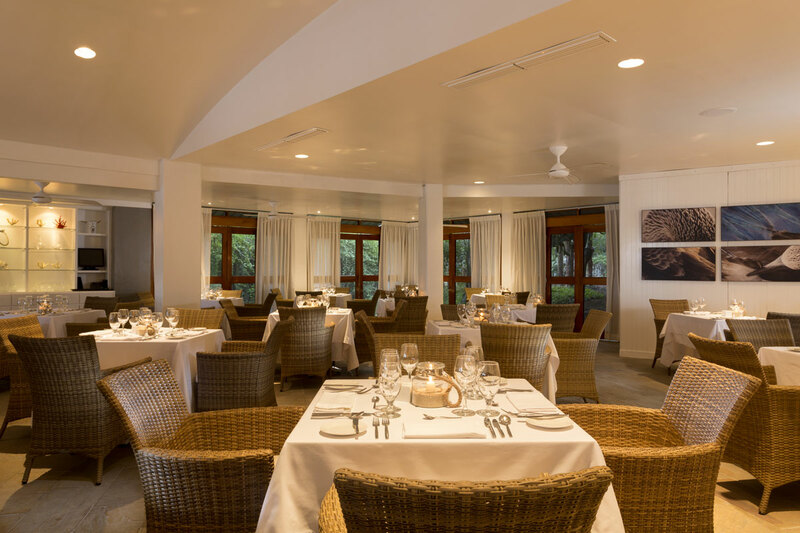 Enjoy fine dining, flexible activity options and all the comfort you need to make the most of your Galapagos journey, your way. The beauty of the Finch Bay is the opportunity to enjoy the hotel and all that it offers, explore Santa Cruz Island’s lives, ecosystems and beaches, but also to venture further, beyond, to islands located in the Galapagos National Park aboard our own exclusive yacht, the Sea Lion. What makes it truly special, what elevates it beyond just the bricks and mortar, is the people, the team who will take care of you during your stay. Their warmth and sincerity, their keenness to please, to ensure that everything is perfect for you, make the true and lasting difference. 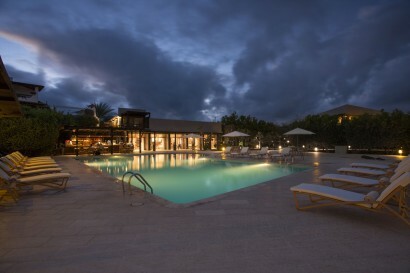 The Finch Bay Eco Hotel is situated in the heart of the Galapagos archipelago, a set of volcanic isles stranded in the vastness of the Pacific Ocean, 600 miles off the coast of Ecuador in South America… famed for its amazing, fearless wildlife and extraordinary travel experiences. 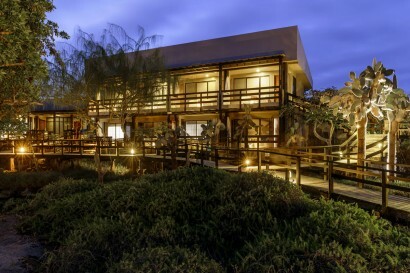 The hotel is ideally located by the town of Puerto Ayora’s only beach, on Santa Cruz Island. Its tranquil bay is lapped by waves amid the greens and browns of mangroves, its cream-coral sand leading up to the hotel’s gardens. 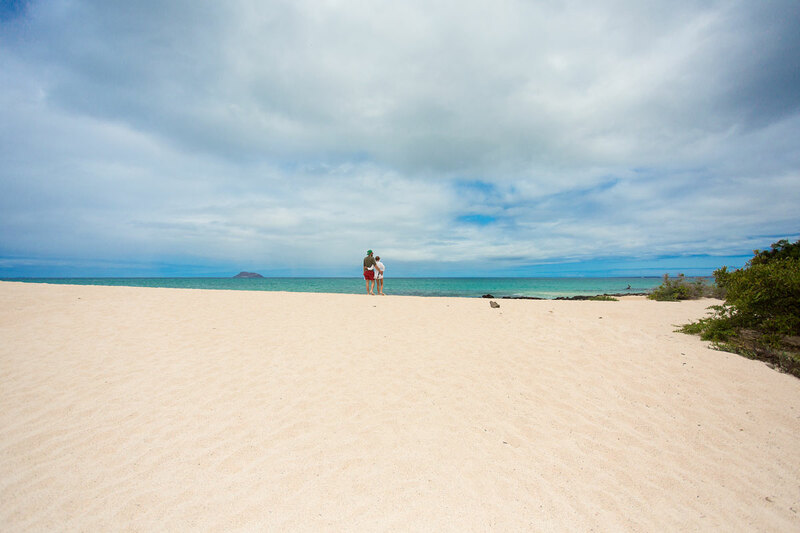 We offer great optional activities, including surfing, scuba diving, kayaking and mountain biking designed to bring out the active adventurer in you. 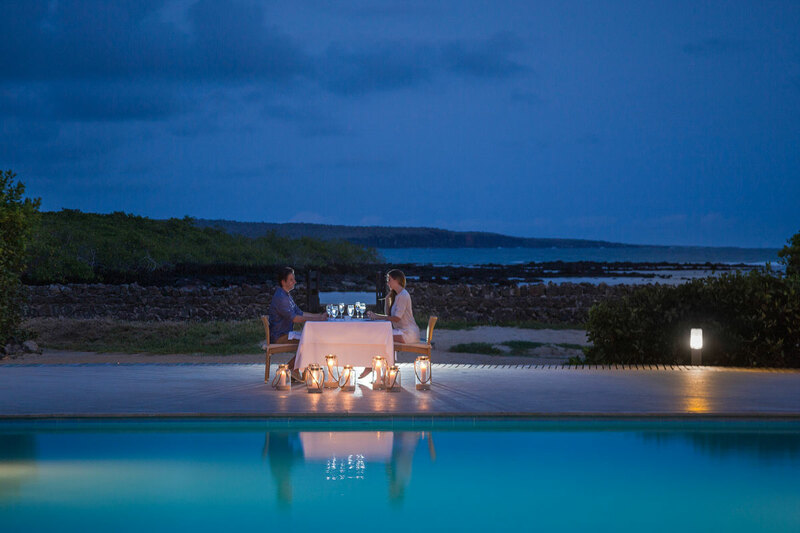 These activities can be added on to any of our programmes, making a visit to the Finch Bay highly customizable so that each member of your party makes the most of their time in Galapagos. 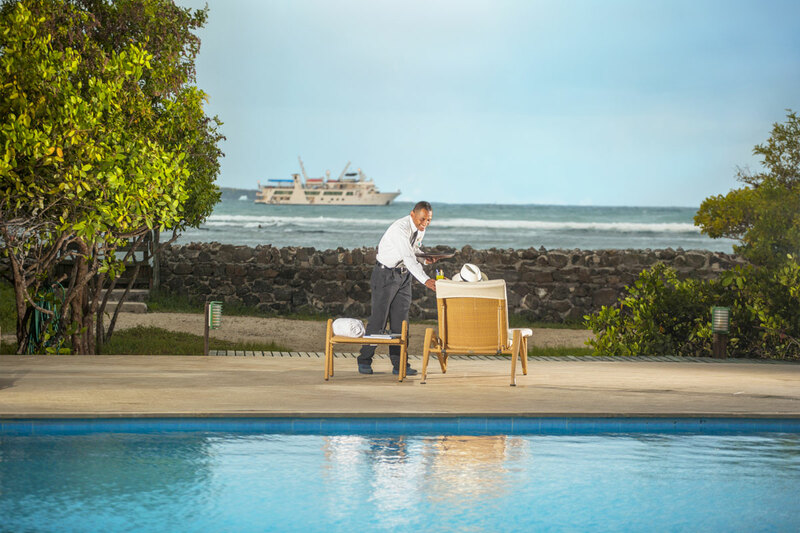 And if you’ve already had your fill of activity-packed days, be it with us or on board a cruise, the hotel also provides the ideal base for some well-deserved downtime: unwind, wander through town, walk on the beach, read a book, or just kick back and enjoy its serene location. The hotel is small and intimate, showcasing an “expedition chic” look fully in-tune with the hotel’s extraordinary beachfront location. All common areas and rooms feature light, natural tones that harmonize with the native lava, sandy beach, and azure ocean, camouflaging the hotel so that it is practically invisible from the harbor. The landscaping displays endemic and native flora with the exception of a few historic, non-invasive trees such as date palms and a flamboyant tree planted by the original owners. 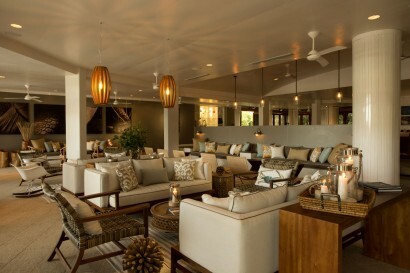 Its six Finch Bay Suites and 21 Finch Bay Rooms are home to a maximun to 54 guests. Our tastefully-decorat.ed rooms sport a balcony or open entrance porch, with a hammock to enjoy this privileged location. The Finch Bay Suites have direct ocean views. Four of the suites have a communicating door- ideal for family and friends travelling together. Our company’s Cordon Bleu-qualified Gastronomy Director and his Head Chef at the hotel are passionate about showcasing the finest Ecuadorian ingredients with dishes that highlight the best in the country’s cooking, as well as blending flavours and techniques from around the world. Guests enjoy “catch of the day” freshness supplied by local fishermen and sustainable farmers. In addition, we employ vegetables, herbs and fruit from our very own organic garden. accompanied by wakame seaweed and a citric soy sauce. fish, extra virgin olive oil and a whiff of Chardonnay. a baked crust, topped with ice-cream. The Hotel has a large swimming pool and lies just in front of the beach. 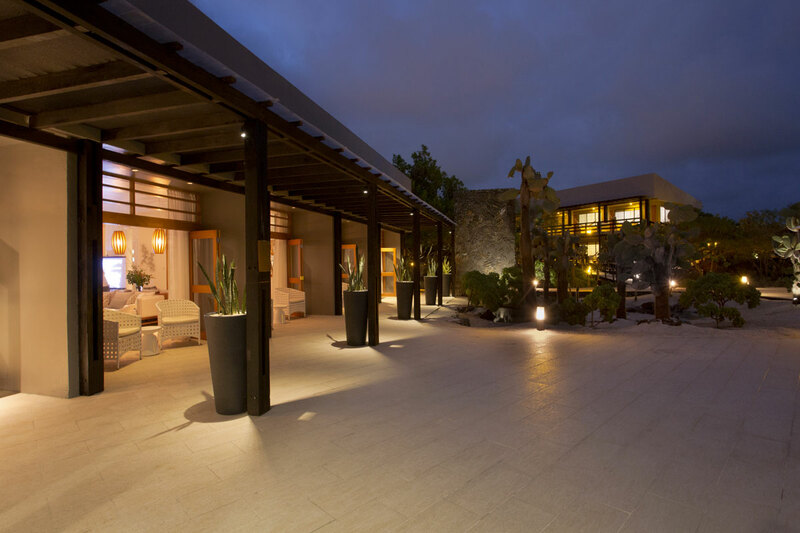 The Hotel can be chartered and has been used for Incentive groups ; celebrations and events can be carried out inside and outside, with a max capacity of 100 guests. • The hotel owns and operates its own yacht, the Sea Lion. Designed and outfitted specifically for island discovery, the Sea Lion provides an exclusive means for 20 guests to join our two highly-qualified, bilingual naturalist guides and four crew members, enjoying a delicious, freshly-prepared buffet lunch, air-conditioned interiors, viewing decks, with free snorkelling and wet suit gear – and, of course, the wonders of the islands. Prepare to sail between the inky-black and burnt-sienna volcanic islands – about two hours’ sailing time away – anchoring at a placid bay to board our dinghies. Land at a designated visitor site where you might be greeted by a family of basking sea lions with their curious pups and barking alpha male. 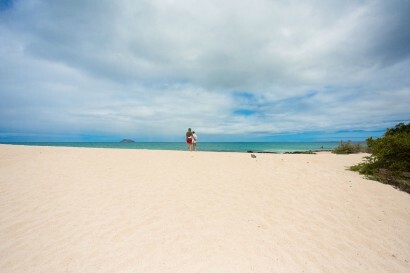 Or follow a trail leading you by nesting yellow land iguanas or broods of black marine iguanas. Climb up hills to be rewarded with wondrous views, quintessential flora and fauna, and otherworldly landscapes. Everywhere you go, our expert guides will interpret and explain the unique beauty of these ‘enchanted isles’. We operate set departures to different official visitor sites within the National Park. Be aware that there are only a handful of yachts with these National Park permits. Visitor sites include the wildlife-rich North Seymour, iconic Bartolome, the wild and rugged South Plaza, and the beautiful Santa Fe. 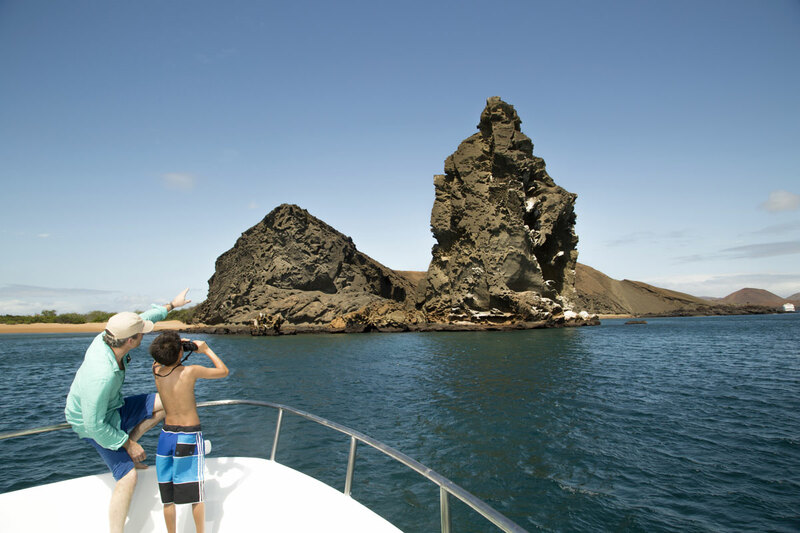 All of our trips are responsibly-operated, safe, and include time to enjoy some snorkelling – one of the highlights of any Galapagos experience – whether at the same island, or at a nearby site.